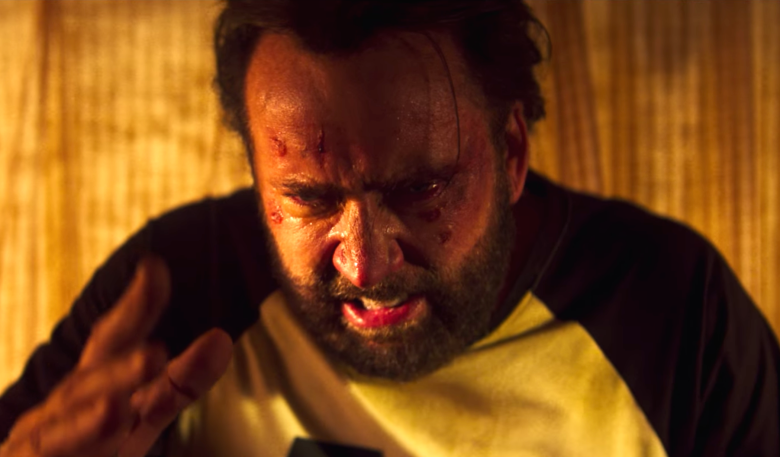 Even though keeping track of Nicolas Cage's upcoming roles has more often than not led to disappointment, every now and then it leads to a Mandy or Mom & Dad that makes it worthwhile. Hopefully, this next film will fall into that category because on paper it should be fantastic. Cage is reteaming with Mandy producers for Color Out of Space, based on the short story by horror legend H.P. Lovecraft. Okay, as if that's not exciting enough, it will also see the return of director Richard Stanley, probably best known for his controversial firing from 1996' The Island of Dr. Moreau. Before that, Stanley had directed such films as Hardware and Dust Devil. He can be seen in the documentaries Jodorowsky's Dune and Lost Soul: The Doomed Journey of Richard Stanley's Island of Dr. Moreau. You can guess what that last film is about. Also in the cast are Joely Richardson, Tommy Chong,Elliot Knight, Julian Hilliard, and most fascinating to me, The New World's Q’Orianka Kilcher. Shooting begins next month.